Las Vegas is a residential dream. Endless options for dining, recreation, and entertainment make Vegas one of the best cities to reside in. But no matter where you live, a short weekend getaway is always refreshing – and sometimes necessary. Las Vegas is so centrally located that it’s within a few hours of some of the country’s most renowned urban destinations and perfect weekend road trip opportunities. Los Angeles, San Diego, Phoenix, San Bernardino, and Palm Springs are all within reach. Las Vegas residents are never more than a few hours away from new cities, new experiences, and new adventures. If you’re in the mood for some adventure, Los Angeles is the place to go. This city is packed with things to do – but don’t worry, there are plenty of options for relaxation amongst the action. 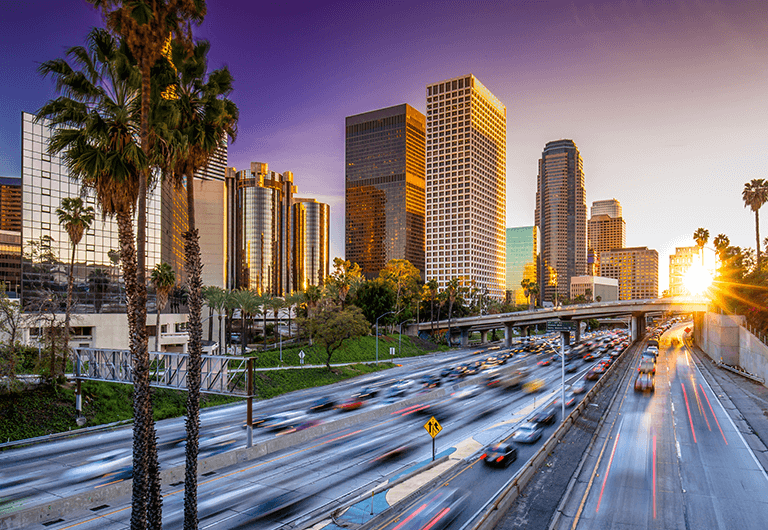 A trip to Los Angeles can include everything from a day at the beach to a walk down Sunset Strip to a shopping spree at The Grove in Beverly Hills. There’s something to do in this city for every personality type. As for food, there are tons of delicious hole-in-the-wall finds, as well as famous restaurants run by acclaimed chefs. This is a great city to visit if you’re traveling with a group with diverse interests, or if you’re open to adding new activities to the itinerary. The city’s versatility means you can customize your experience on the fly and be spontaneous, making it one of the best options for trips from Las Vegas. Once frequently visited by icons like Frank Sinatra and Elvis, Palm Springs is now a go-to urban getaway for today’s stars – and after exploring the area, it’s not hard to see why. 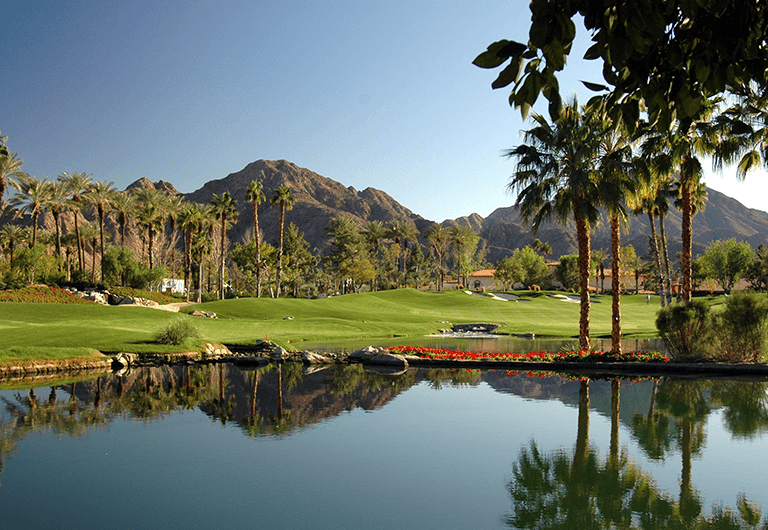 Palm Springs is the perfect destination if you’re in need of a little rest and relaxation. The warm weather, palm tree-lined streets, and trendy shops and restaurants make it a rejuvenating weekend getaway. Getting away from the bustle and laying out at a Palm Springs resort pool may be just what you’re looking for in an urban getaway. After you’ve had your fill of swimming and sunbathing, make sure to check out downtown Palm Springs. The streets boast an impressive mix of quaint galleries, tasteful boutiques, and gourmet culinary establishments. Phoenix is a desert paradise peppered with spas, museums, parks, and, of course, gorgeous desert foliage. Backed by fire-red mountain peaks, the downtown area is buzzing with activity. Live music, rooftop bars, pool parties, and quirky culinary destinations are all options for enjoyment. If you’re looking for a natural escape, check out Papago Park, South Mountain Park, Camelback Mountain, and the Desert Botanical Garden. 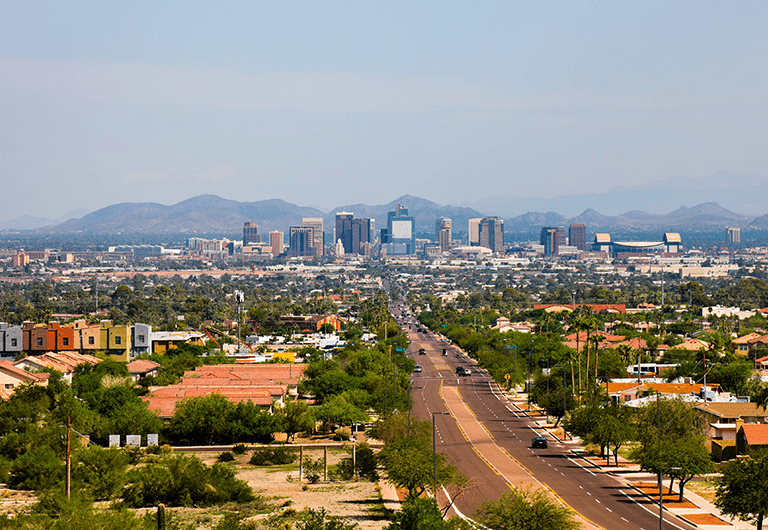 An urban escape to Phoenix will leave you simultaneously invigorated and relaxed. Serenity. Beauty. Charm. These are the things that characterize San Diego. Built along the beautiful Pacific Ocean, this city is an expression of the creative, slower-paced lifestyle that most residents embrace. Each neighborhood is unique, but there’s a consistent, intangible quality that makes each exclusively San Diegan. The downtown area is made up of districts including the Marina District, Gaslamp Quarter, and East Village. A few minutes north, you’ll find North Park, Hillcrest, and Banker’s Hill, which frame the renowned Balboa Park. 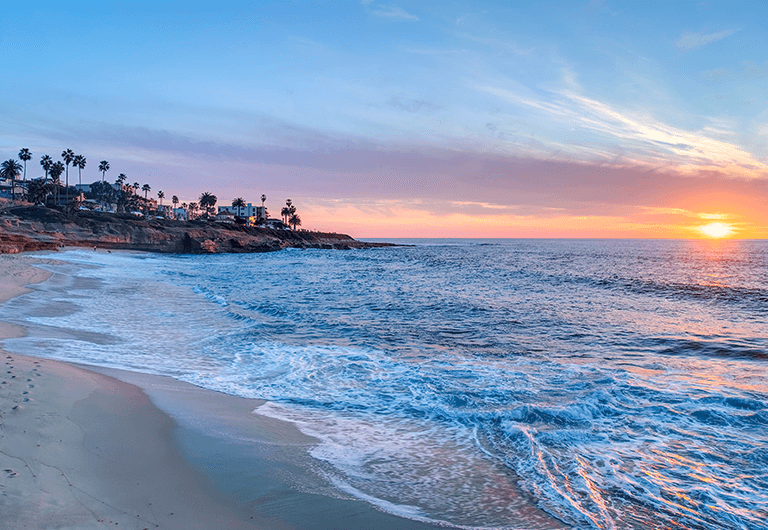 Coastal spots to hit include La Jolla, Solana Beach, and Coronado. If you’re looking to participate in outdoor activities during your urban getaway, San Diego is your best bet. Opportunities for biking, hiking, trail running, kayaking, boating, paddle boarding, surfing, swimming, and even scootering are endless. Food options range from traditional to eclectic and hitting all the foodie favorites would take longer than a short weekend getaway. However, one must-eat while in San Diego is Mexican food. They’ve got the best. Las Vegas is a centrally-located desert oasis. Short weekend getaways near Las Vegas are just one of the many perks that come with Vegas living. A few hours in the car can lead to an adventure in Los Angeles, a pool day in Palm Springs, a surf session in San Diego, or a garden stroll in Phoenix. And residents of Las Vegas know that one of the best parts of a vacation is coming back to the city we call home.